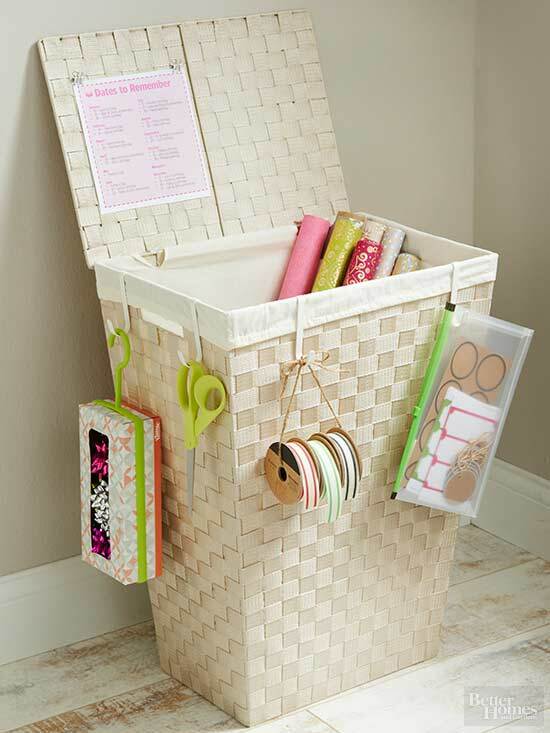 Keep all your gift wrapping supplies on hand with these easy storage projects. Must check out! Corral wrapping paper, ribbons, bows, and other holiday gift wrapping supplies with these easy storage projects you can finish in a weekend. 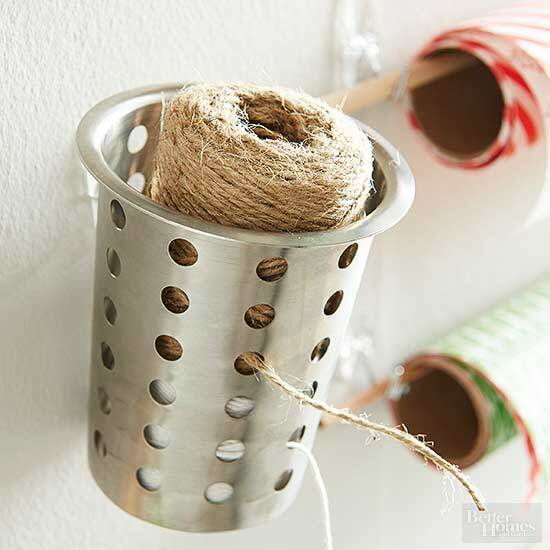 For repurposing at its finest, nestle a roll of twine in a stainless-steel cup meant for draining flatware. We found this one at a restaurant supplies store for just a few dollars. Thread one end of the twine through a hole for tangle-free unwinding, measuring, and clipping. An ordinary hamper can collect rolls of wrapping paper, spools of ribbon, and other gift wrapping supplies. It snugs into a corner in the off-season, and when gift wrapping festivities commence, it can move wherever it’s needed. Choose a hamper tall enough to stash gift wrap and still allow the lid to close. S hooks on the rim keep scissors, labels (we slipped ours into a plastic pencil case), and bows from getting lost. 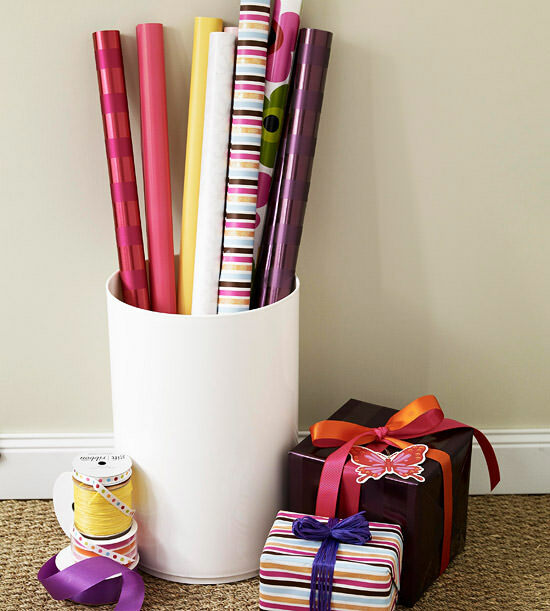 If you’re short on space or don’t have time to craft a storage unit for your gift wrapping supplies, a simple cylindrical container will work well. Store up to 10 rolls of wrapping paper in a handy container placed near where you plan to wrap gifts, then store in a closet space when you’re not using it.